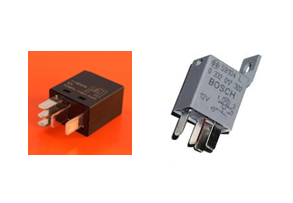 Trend-All has been a supplier of high-quality, 12V and 24V automotive-style relays for over 30 years! Specializing in Bosch and Tyco relay products, your Trend-All support team can find the correct relay for your application. 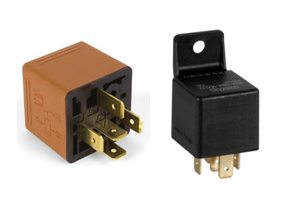 Fortune 1000 customers have come to rely on this high-reliability, automotive-style relay line to keep their products running, from farm tractors and military transports to fire engines and AC generators. 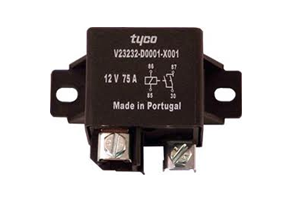 Automotive high-current relay with current ratings up to 75A continuous and 150A switching, voltage levels up to 24V, suitable for switching motors and starting motors. 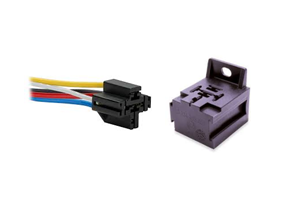 Automotive plug-in ISO relay with rating up to 70A, voltage levels up to 24VDC, Form A, C and U footprints, and suppression and mounting tab options. Automotive plug-in Micro ISO relay with rating up to 30A, voltage levels up to 24VDC, Form A and C footprints, and suppression options.